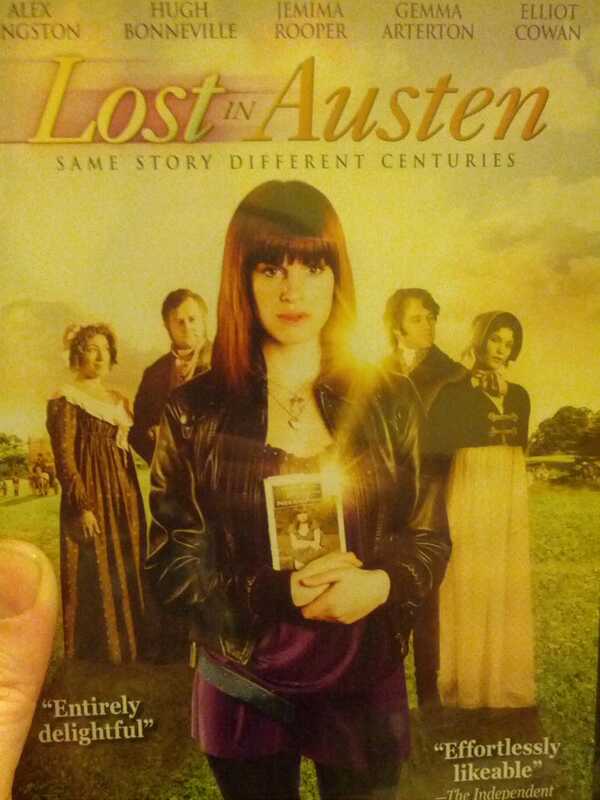 This movie - Lost in Austen. A modern girl, Amanda, who loves Pride and Prejudice, goes through a door in her bathroom and finds herself in Elizabeth Bennett's house at the very beginning of the story. But Elizabeth has disappeared into Amanda's world, so things at Longbourne are not going the way Jane Austen wrote them. I love this SO MUCH because it gives you another way to look at these beloved characters. It feels like you get to know them better by finding out what they'd do in different situations. It ain't canon, but it's plausible, except for the world-hopping. Alex Kingston (River Song!) plays Mrs. Bennett, who has an awesome moment involving a hat. Who knew Mrs. Bennett had it in her? You will cheer. Caroline Bingley has a secret, and Mr. Collins has brothers. Not so well-mannered as Mr. Collins, but they will do for the Bennett girls, says Lady Catherine. Are you sure you know the truth about Wickham? And there's all the fun of watching someone like us try to fake belonging in Regency England. I have seen this over and over and it never gets old. Deelightful!